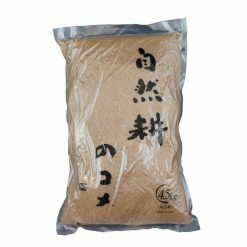 Water from the melted snow of the Northern Alps and rich soil enabled the production of Toyama Koshihikari Organic Rice — delicious, sticky, and pleasantly fragrant, it’ll leave you craving more. 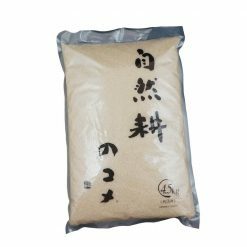 Toyamakensan Koshihikari Organic Rice was nurtured in nutrient-rich soil with fresh water coming from the melted snow of the Northern Alps. 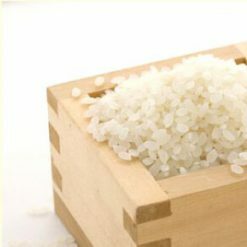 Moreover, the summer temperatures are perfect for making rice. Very popular for its balanced sticky-sweetness, it is often referred to as “the rice loved most by the Japanese”. Its delicious flavor is due to the delicate balance of each component (amylose, amino pectin, protein, etc. ), and it has a lovely stickiness and fragrance. It maintains a great taste and quality even in cold conditions. 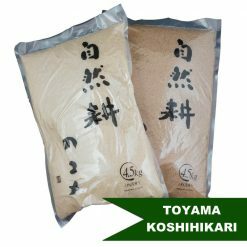 Toyama Koshihikari Organic Rice comes in two varieties; organic brown rice and organic white rice. *Cultivated in harmony with nature without the use of harmful pesticides and chemical fertilizers.